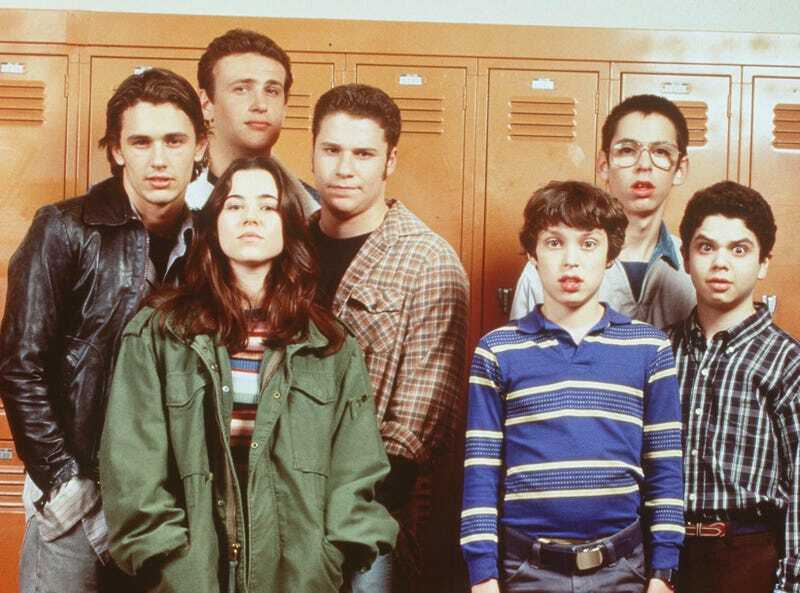 In the 17 years since it ended, Freaks And Geeks has inspired the kind of passionate following that might have been lovingly sent up on the show—that is, if there were more dice involved. Fans regularly stream the full series on Netflix, and there are any number of features on its short-lived greatness (some of which you’ll find here). And yet, we’ve never gotten much of a behind-the-scenes look at Paul Feig’s show, which ran on NBC for a single season. That’s about to be remedied by Morgan Spurlock, who will include the cult classic in his upcoming A&E docu-series CultureShock. Entertainment Weekly first reported on Spurlock’s new project back in August, which will see the documentary maker “examine the untold stories behind watershed moments in pop culture that had a lasting impact on our culture—with the full participation from the subjects.” Freaks And Geeks was listed as part of that rich, cultural tapestry, but no other info was available at the time. Now some of the people involved with the teen dramedy are beginning to promote the docu-series. Samm Levine, who played Neal Schweiber, tweeted an image of the documentary last week. When asked to verify the impending awesomeness, Feig answered in the succinct affirmative. CultureShock is slated to premiere in 2018, but there’s currently no word on when the Freaks And Geeks episode will air.